Radford is the no. 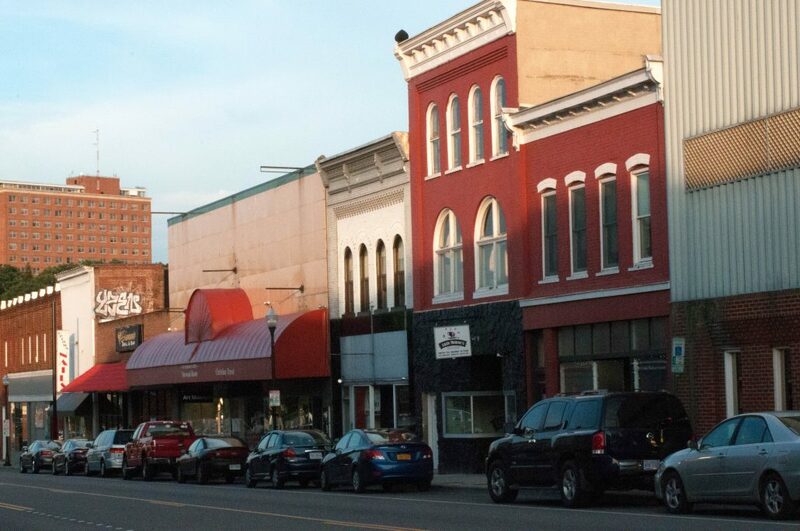 18 safest city in Virginia, according to SafeWise. According to safewise, Virginia has the 3rd lowest violent crime rate in the country, making it overall a safe state. 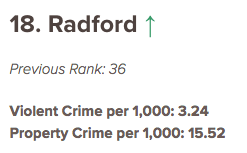 Many of the communities in the NRV rank as some of the safest in the commonwealth. These rankings were based on the FBI Crime Report from 2015 and population. Cities with less than 3,000 residents were eliminated. Read more about the rankings from Safewise.